I have a technical question regarding your Purchase order form. A customer would like to order 1 item of the size 1 and 3 items of the size 3, how to do this please? Knowing there is only 1 drop down menu, it seems impossible to have more than 1 item per size....weird. 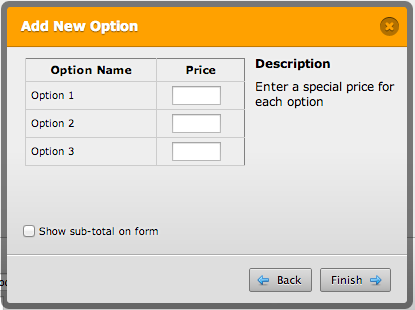 Custom options can have their own prices. So, for example, you might want to offer T-Shirts with different prices based in their Size. However, you might also want to offer these T-shirts in a variety of colors. Thank you for your quick reply but you have lost me. In your picture I can see 2 item fields, but this does not work because if your customers wanted to buy a third size of the same product, it will not work unless you add again another field. What happens if you have 10 sizes, you need 10 fields? 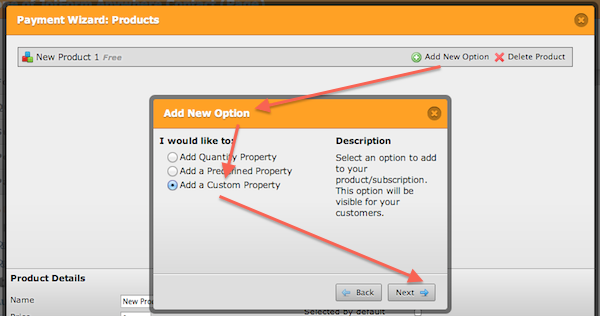 Is there a way to only have the extra fields showing only if the size required by the customer need to be purchased? I have currently 29 products with 3 sizes each, imagine the length of the form if I have to pre populate 3 fields for each of the 29....nightmare. Please let me know if there is another way of doing this please. The goal is to minimize the amount of fields in the full page. So lets say I have Pizza flavor 1 the sizes are size 1, size 2, size 3. 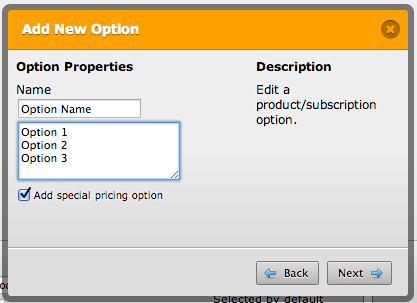 Remember, we do not want 3 fields showing but only 1 with a drop down menu of 3 choices. Let's say I choose choice 1 , the price get calculated, but how do I get a second choose from this field? It would have been much better to have a button called "order more from this item", then have the new field with the 3 choices only showing at this time. Becuase right now, if you have 3 choices but must have 3 different labels, I do not understand the point of having the drop down menu...or am I totally confused??? I see..... sad that we cannot add the conditional logic directly with JotFrom. Without Jotform I would not have an idea on where to start to be honest, It would be a really big job I believe. Let us know if you need our further assistance. Thanks for your input. Let me tell you that Jotform philosophy is too keep things simple. But I think our purchase order tool might be improved to have such functionality , so I am forwarding your request to our developers .